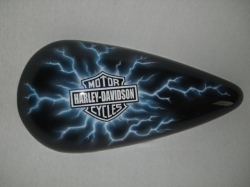 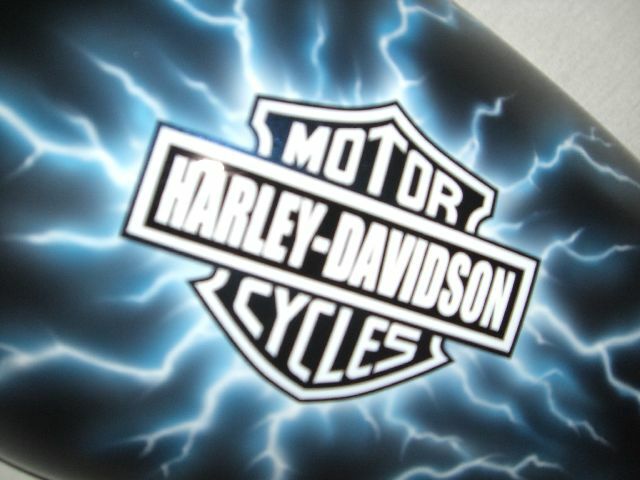 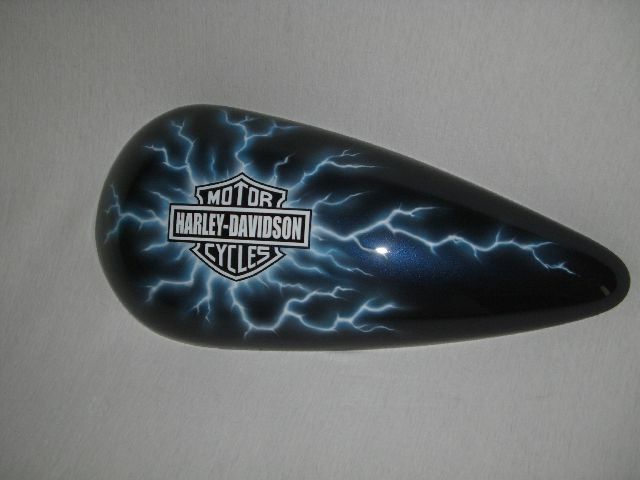 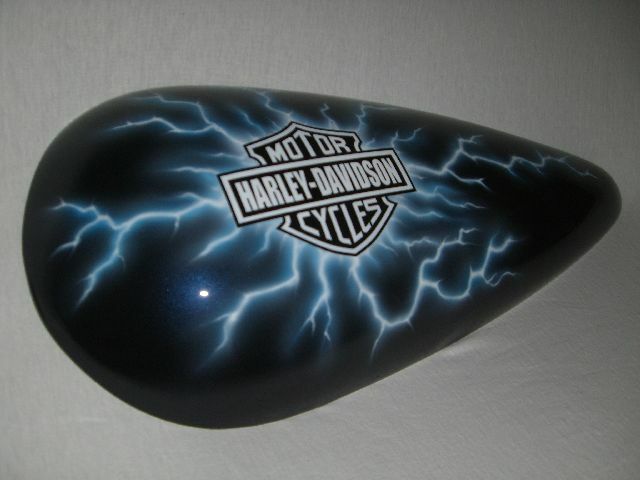 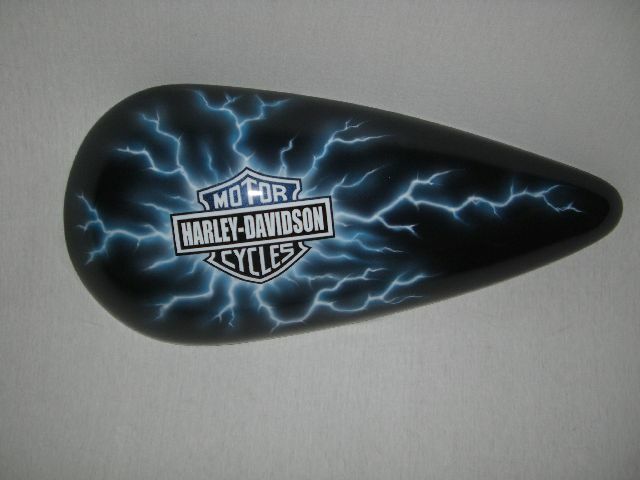 This dark stormy night has airbrushing that give the effect of lightening strikes coming off of the traditional Harley Logo on a mid-night blue base coat. 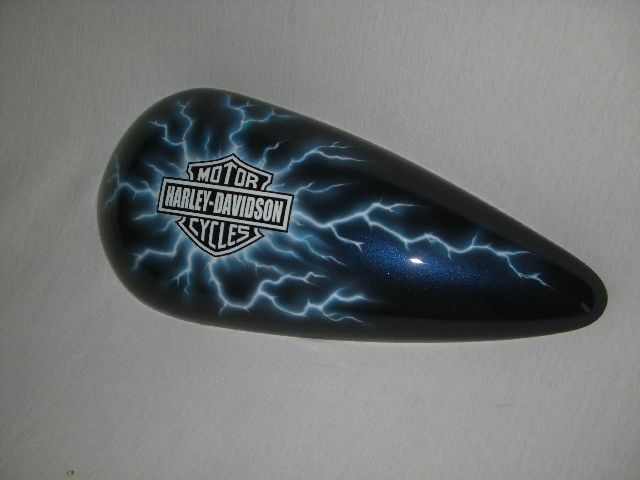 Do not think your limited to the blue lightening, you could choose red lightening over a black cherry base coat or possibly white lightening over a back pearl base coat. 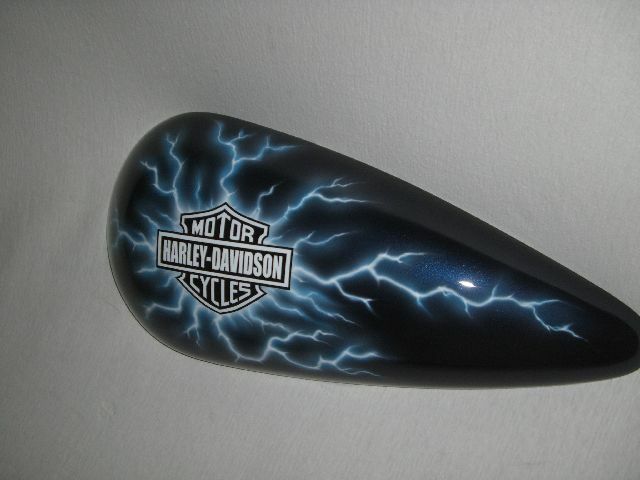 The color combinations for this set are endless.